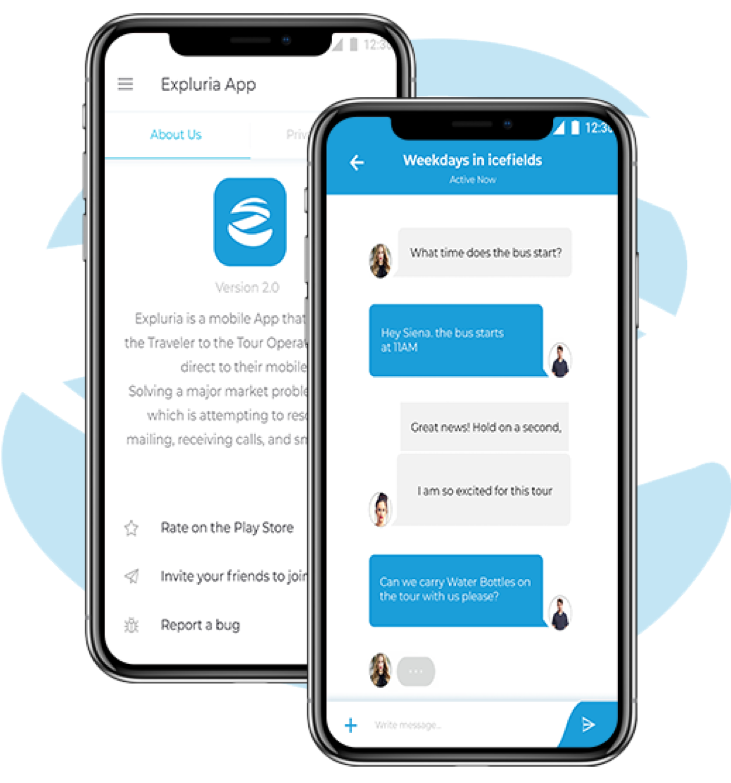 Expluria is a mobile platform that creates more enjoyable travel experiences by allowing for direct, secure, real-time communication between consumers and tour operators. 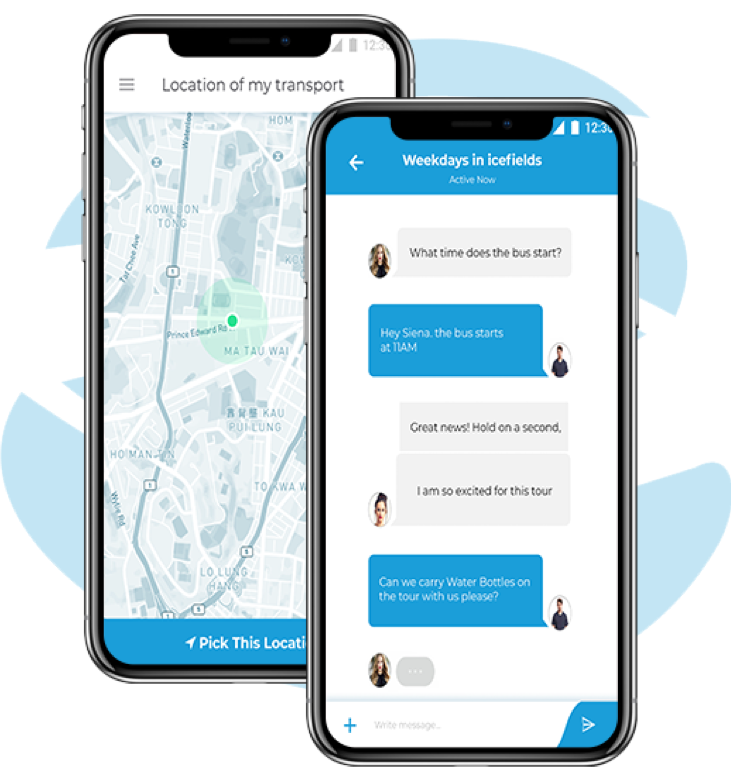 Our app addresses the lack of communication on today’s travel landscape, which creates confusion and inconvenience for both side of the equation. It’s powered by a rich feature set that includes AI tech, seamless API integration, and real-time notifications. The days of folding maps, traveler’s cheques, and the Walkman are distant memories. 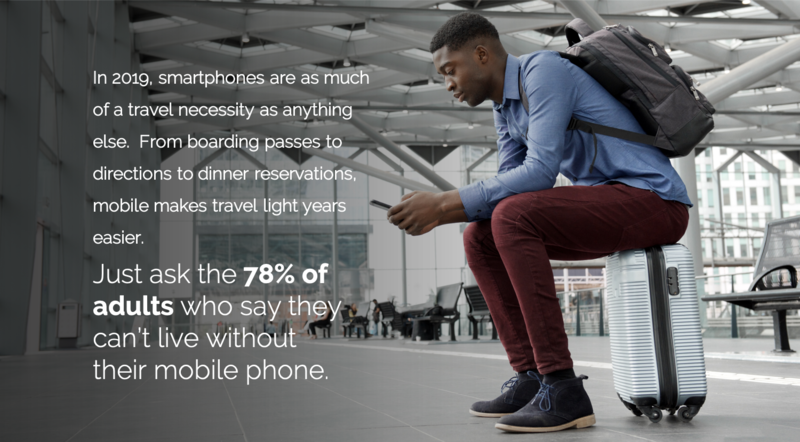 As a result, the customer engagement that’s so crucial on today’s travel landscape is absent - and service ultimately suffers. The email, social media, and other digital tactics that tour operators & travel agents commonly rely on simply isn’t enough anymore. 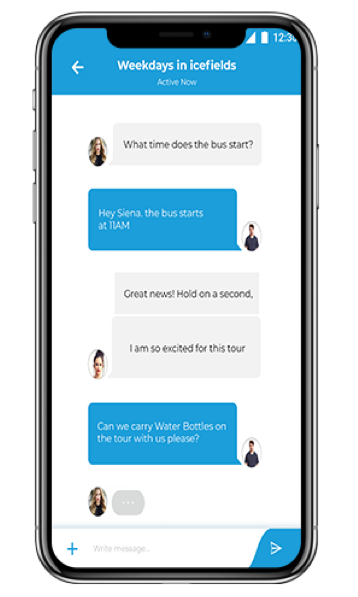 Travelers and tour operators alike need a more up-to-date, all-encompassing solution! 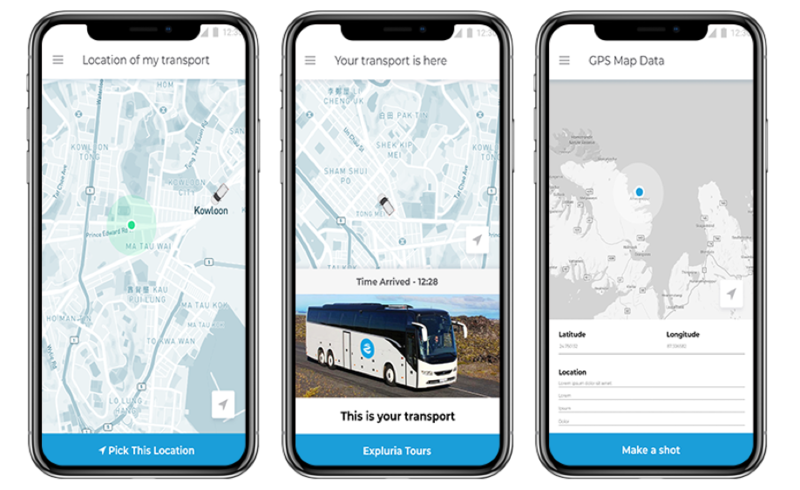 Introducing Expluria: a new mobile app that allows for direct interaction between travelers and key tour authorities - including operators, guides, and booking offices. 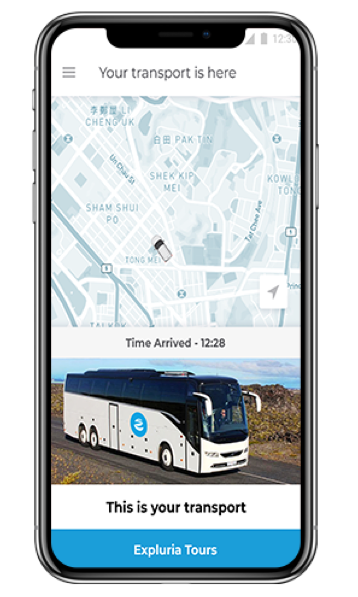 We’re here to bring touring up to speed with the rest of the travel experience, once and for all, with a platform that serves a traveler’s entire tour experience - regardless of how many different companies are utilized. Above all, our solution has been designed to provide interaction in a safe and convenient manner direct to travelers’ mobile phones. Every technical element that’s going in to Expluria’s development takes this commitment to security into account. It’s also being crafted to be highly flexible, which is in stark contrast to similar existing solutions. 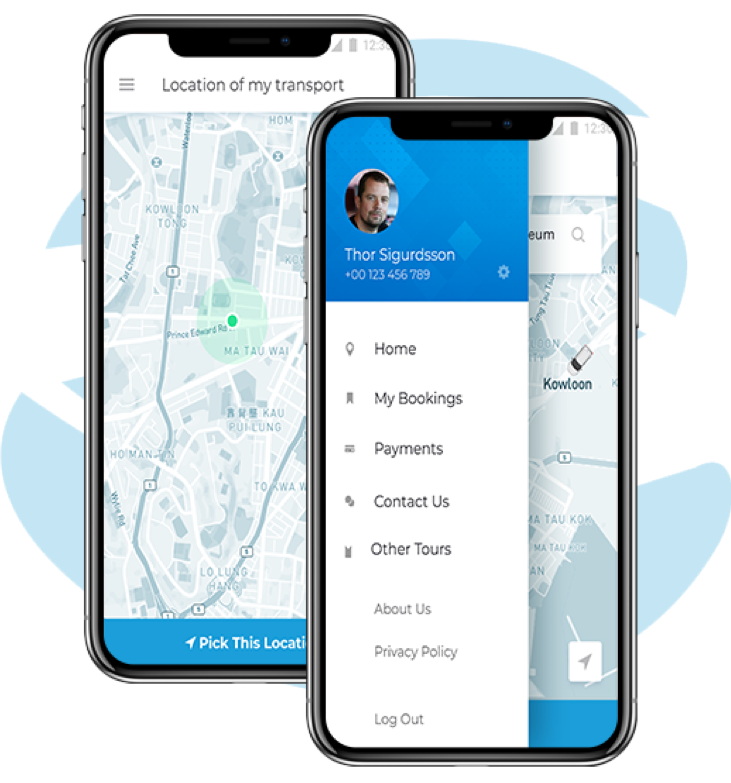 For starters, travelers only need to download Expluria once to use it with different tour operators, guides, and bus companies. This flexibility extends into Expluria’s simple integration with various booking systems, which we connect with via API for even greater booking convenience. Seeing as how we’re hosted on Amazon AWS, this element of our business is also highly scalable. 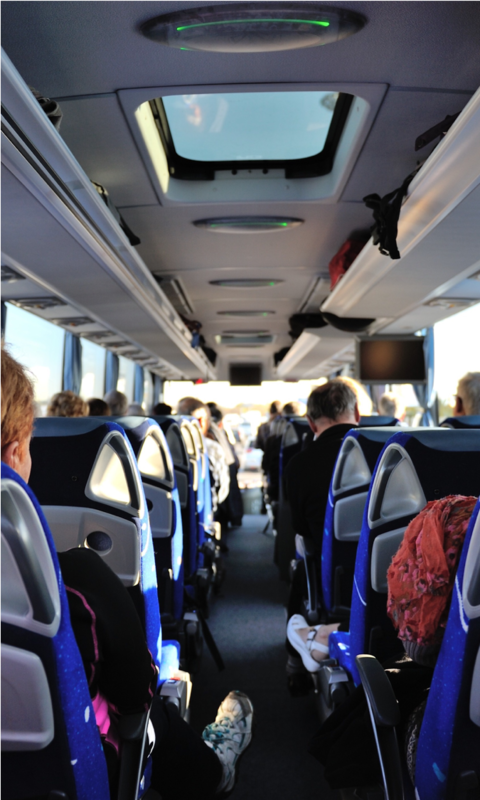 Furthermore, our business users (bus & OTA companies, tour operators, etc.) distribute the app themselves via their booking system & invoice generated when a traveler books. Thanks to this, we’re not in direct competition with any of these business users (that we know of); and enjoy streamlined operations within our own business. 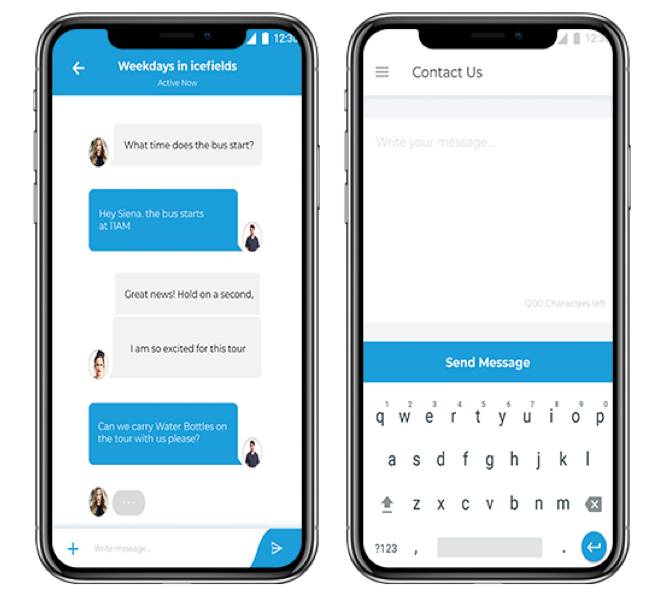 The core platform has been developed, and is slated for first edition release in July 2019. 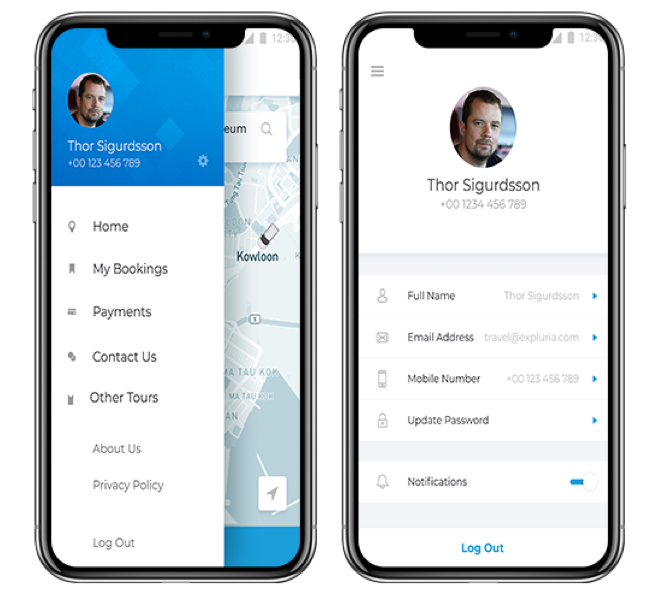 Customers are ready and waiting for Expluria’s release, including a handful of tour operators we’ve agreed with to be initial customers and develop the app in collaboration. Partnership secured with Inspired by Iceland, the nation’s official tourism website, to provide key travel content and information. Logos, icons, app design, and other key branding elements are all in place. 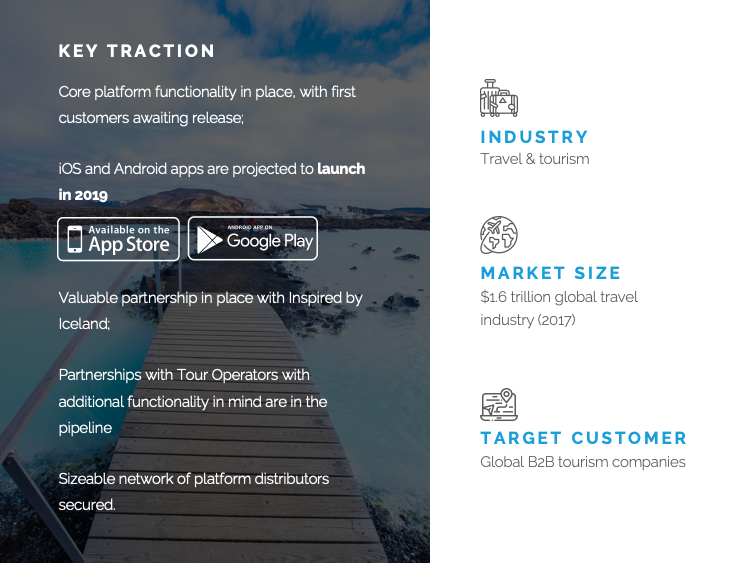 A vast distribution network is up and running which includes travel booking OTAs, bus companies, tour operators and Bokun.io (a TripAdvisor company). For more information on Expluria and how they plan to create shareholder value going forward, please request access to the Business Plan portion of this profile! TVG-Zimsen), and Netafrit, an online backup solution (acquired by Siminn, leading internet provider in Iceland). Board member of a tourism organization. 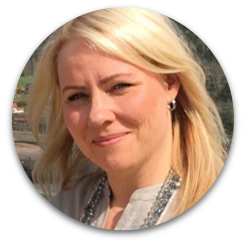 Soley Halla Eggertsdottir | CFO | Certified securities broker by trade with 20 years’ experience in banking (including 13 years in asset management). Business process & product management expert. Member of Icelandic Search and Rescue team (SAR). 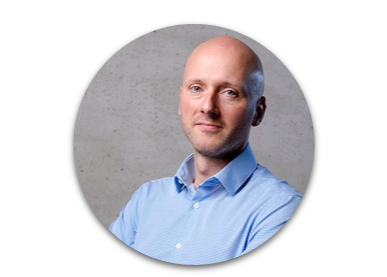 Dr. Valdimar Sigurdsson | Head of Marketing | Marketing PhD & Director of the Centre for Marketing and Consumer Psychology at Reykjavik University. 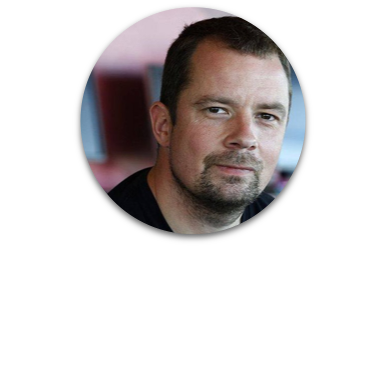 Has conducted many seminars and collaborated with several Nordic firms, including Coop Norway and Origo. 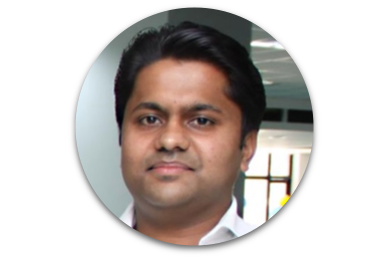 Herocycles.com (world's #1 bicycle manufacturer), Educomp.com (Asia's largest e-Learning Company), and MakeMyTrip.com (largest OTA in India) are just a few examples of massive development teams he’s headed up around the world.